Available now from Edinburgh University Press. Frederick Douglass (1818–95) was not the only fugitive from American slavery to visit Scotland before the Civil War, but he was the best known and his impact was far-reaching. This book shows that addressing crowded halls from Ayr to Aberdeen, he gained the confidence, mastered the skills and fashioned the distinctive voice that transformed him as a campaigner. 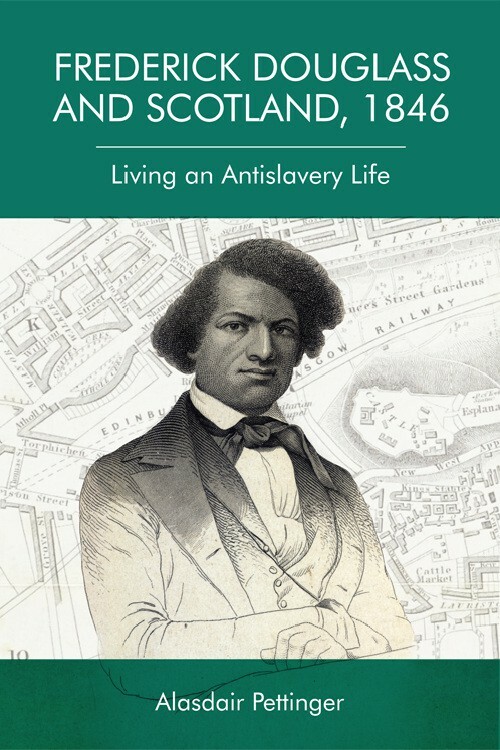 It tells how Douglass challenged the Free Church over its ties with the Southern plantocracy; how he exploited his knowledge of Walter Scott and Robert Burns to brilliant effect; and how he asserted control over his own image at a time when racial science and blackface minstrel shows were beginning to shape his audiences’ perceptions. He arrived as a subordinate envoy of white abolitionists, legally still enslaved. He returned home as a free man ready to embark on a new stage of his career, as editor and proprietor of his own newspaper and a leader in his own right. Eh! eh! Bomba, hen! hen!